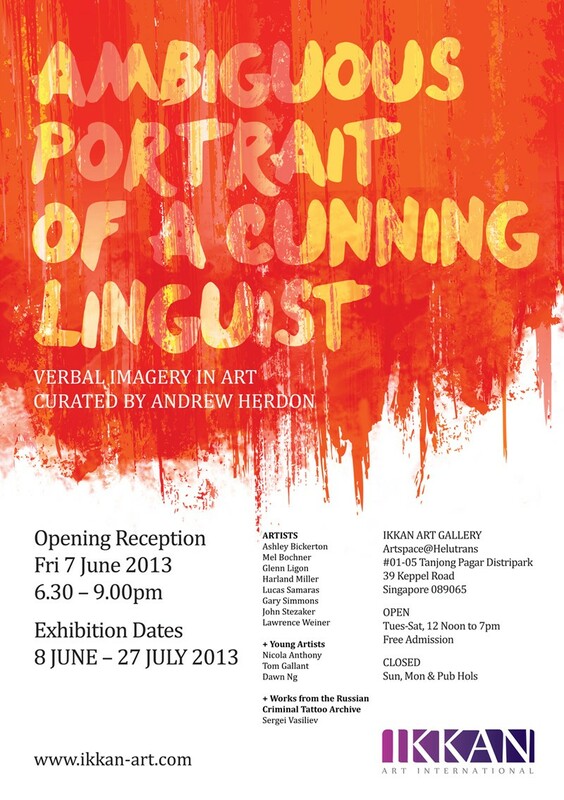 I am thrilled to announce that I have been selected as a Young Artist to exhibit in an exhibition about verbal imagery – opening on 7th June at Ikkan Art Gallery, Singapore. I am honoured to be exhibiting alongside internationally renowned artists who have been inspirations to my own art practice, including Ashley Bickerton, Mel Bochner, Glenn Ligon, Harland Miller, Lucas Samaras, Gary Simmons, Stezaker, and Lawrence Weiner. Thank you Li, very kind of you to support! Ikkan is one of my favourite galleries so I am excited. Thank you Kanchana – I will do so!